Nissan and Infiniti Sales Reports are out for October 2011, and everything looks like they are on a slow eventually upswing. For October, sales are up a total of 18 percent. Altimas leading the way with 21,838 cars sold in October. The small Juke crossover sold 2885 units. No Juke-R's, but the 1.6 liter direct injection engine seems to be getting it done. On the other end of the scale, the 370Z is down big only 442 cars sold in October, a decrease of 40.7 % from a year earlier. The LEAF, Nissans all electric car sold 849 cars, bringing the total sold to 8,049, just about eight times greater than 2012 Nissan GT-R's sold. 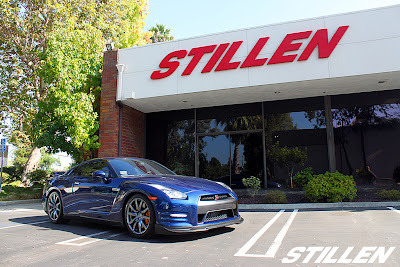 The GT-R sold 101 units, for a total of 1203. Nissan North America, Inc. (NNA) today reported October U.S. sales of 82,346 units versus 69,773 units a year earlier, an increase of 18 percent. Nissan Division sales set a new October record, increasing 22.1 percent for the month to 75,484 units. Sales of Infiniti vehicles decreased 13.5 percent from the prior year, to 6,862 units.